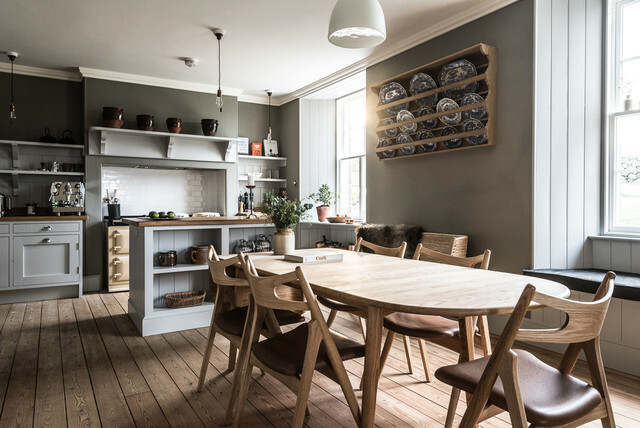 Killiehuntly Farmhouse - Country - Dining Room - Edinburgh - by Groves-Raines Architects Ltd. I love the kitchen table. - can you tell me where the kitchen table is from and whether it is oak, treated or oiled? Hi janetimmis1, sorry for the delayed response. This table the CH006 table, brand Carl Hansen, designed by Hans Wegner. It is oak and there are finish options of oil, soap, lacquer or white oil, all beautiful!